Halon, the sole previs/postvis provider for Star Wars: The Force Awakens, kept the production on schedule. Halon co-founder/previs supervisor Brad Alexander worked with J.J. Abrams and ILM VFX supervisor Roger Guyett. They previously collaborated on Star Trek Into Darkness. 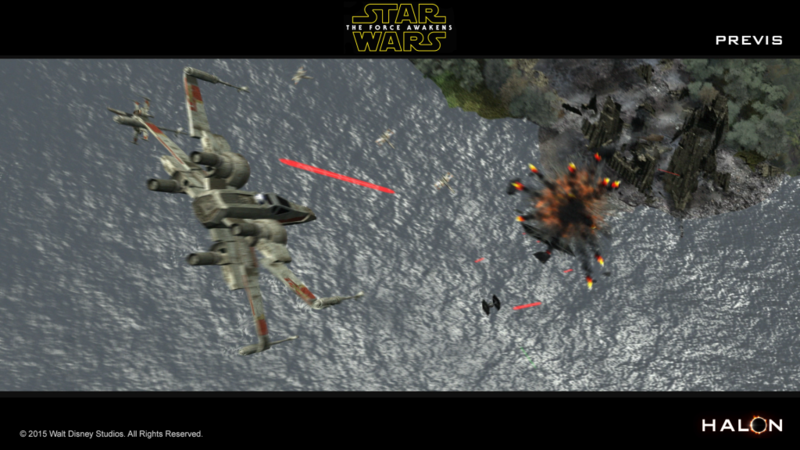 Also, Alexander’s first previs job was with George Lucas on Episode II. Halon had previs teams working in Santa Monica and on-set in London. The postvis phase (supervised by AJ Briones) also included previs of newly created shots. Halon produced shots and got first looks to Abrams and Guyett for feedback for quick turnaround. 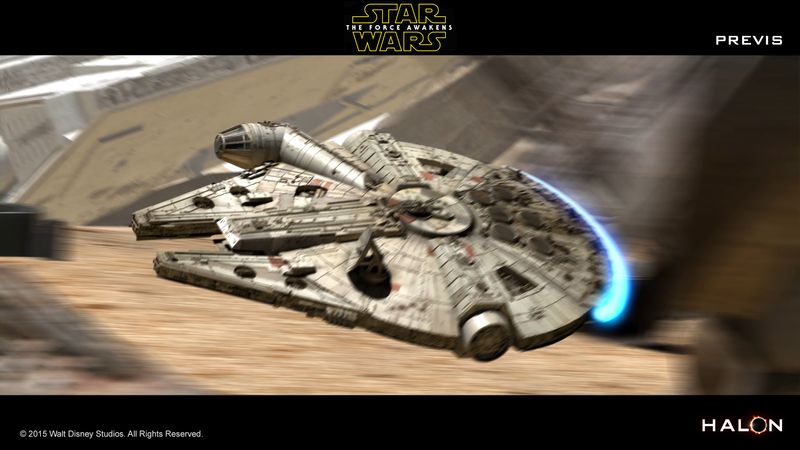 The previs was invaluable for the choreography of such action sequences as the Millennium Falcon chase along the Jakku sand dunes and the First Order attack of Maz’s castle.